Max Dean is an artist who works with ideas, concepts and emotions visually. 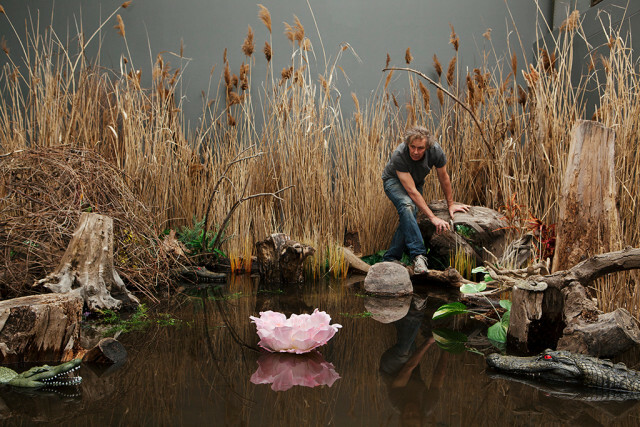 His kinetic and interactive sculptural installations are exhibited and collected internationally. Trained as an art historian Max’s work reflects his comfort and ingenuity in working and mixing both digital and analog technologies. One of his best-known artworks, The Robotic Chair, a generic-looking wooden chair with the capacity to fall apart and put itself back together, was featured as part of Chicago’s Museum of Science and Industry touring exhibition “Robot Revolution”. Max is a recent recipient of the Governor General’s Award for Excellence in the Visual Arts.